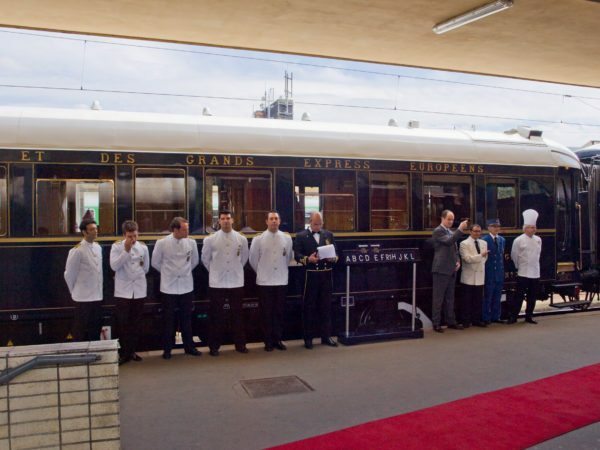 The legendary Venice Simplon-Orient-Express offers a unique travel experience. 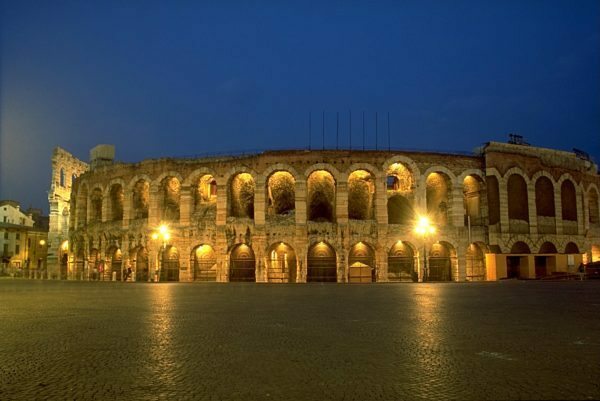 For your trip of a lifetime embark on the classic journey from London to Paris and onto the magical city of Venice. 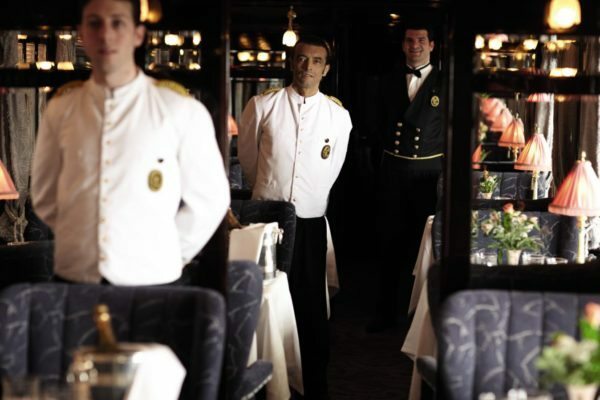 Step aboard the Venice Simplon-Orient-Express (or VSOE) and you step back in time to a bygone age of luxury rail travel. Travelling on the VSOE offers so much more; your personal steward is on hand to attend to your every comfort and show you to your exquisite compartment of wooden marquetry and polished brass fittings in original 1920’s detail, with soft towels and crisp linen. Experience fine dining as white linen, French silverware and heavy crystal create a marvellous setting for your gourmet meals. All the while you travel across Europe viewing magnificent scenery and ever-changing landscapes from the comfort of this classic train. 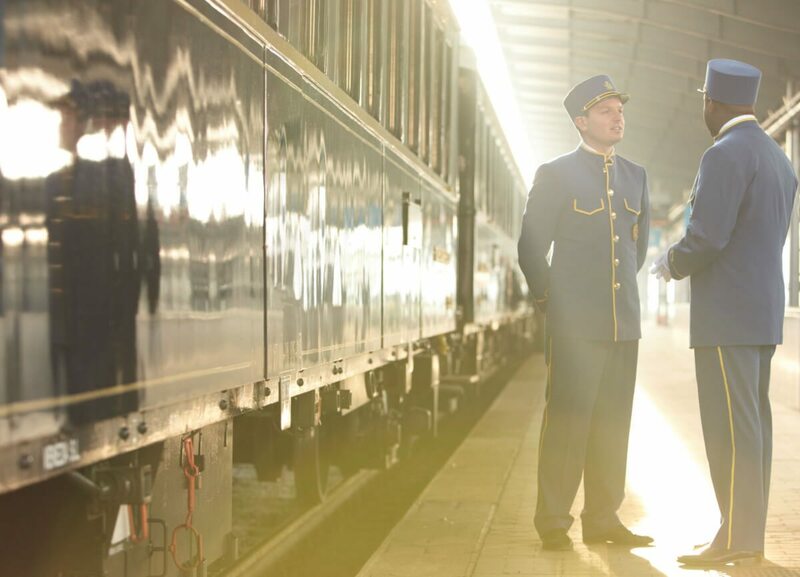 Embark on the British Pullman from London and cross the Channel before boarding the immaculate blue and gold carriages of the Venice Simplon-Orient-Express. Enjoy life on board one of the world’s most iconic trains as you travel through the towering Swiss Mountains and along the panoramic Gotthard route before arriving in the magnificent city of Venice. 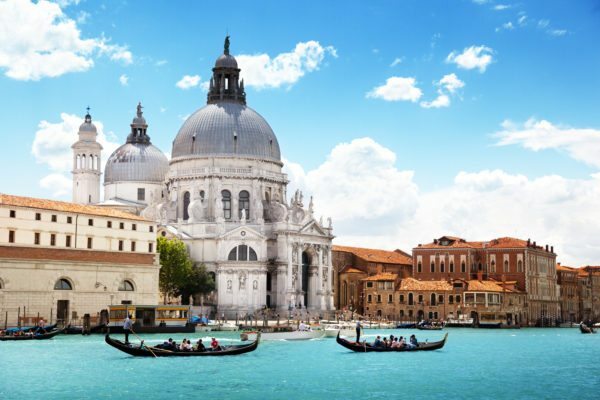 Special offer fly to Venice and return on the Venice Simplon-Orient-Express on selected dates in March & April from £2,250 per person – save up to £500 per person. Your holiday includes rail travel in ultimate style on board the Venice Simplon-Orient-Express from London to Venice with all meals included and overnight accommodation in a private sleeping compartment, private water taxi transfer from Venice Santa Lucia station to your hotel, 3 night’s accommodation with breakfast at your chosen hotel in Venice, private water taxi to Venice Marco Polo airport and economy class flights with British Airways to London. As you board the gleaming carriages of the British Pullman train at London Victoria station, your steward will show you to your reserved seat. Sit back and enjoy brunch with a Bellini as you travel through the Kentish countryside. On arrival in Folkestone you are escorted by uniformed staff via coach to Cheriton to board the Eurotunnel train to France. 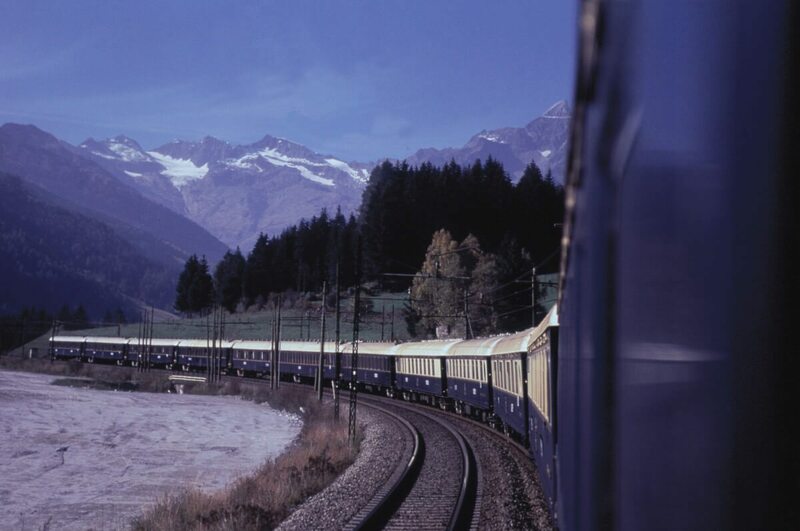 After crossing the channel, board the distinctive blue and gold carriages of the Continental Wagons-Lits. 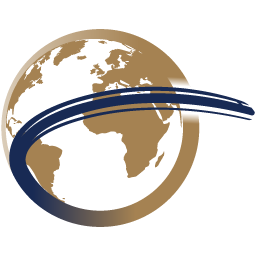 Throughout your journey you will be attended by your own personal Steward. After you have settled into your comfortable private compartment it will soon be time to dress for dinner. Why not sip a pre-dinner cocktail before making your way to one of the magnificent restaurant cars? Here you will be served a delicious four-course dinner, prepared by skilled French chefs. After dinner you may want to linger in the bar car, listening to the sound of the baby grand piano. When you are ready, retire to your compartment, which has now been transformed into a cosy bedroom. You awake to the magnificent scenery of the Swiss Alps as breakfast is served in your compartment at a time to suit you. This morning you may choose to visit the on board Boutique to purchase souvenirs, while away the hours in conversation or take it easy in your compartment and admire passing scenery and breath-taking views as you travel along the Gotthard Route. Enjoy a leisurely three-course lunch served in another of the beautiful restaurant cars. Choose to spend the afternoon in the Bar Car chatting to fellow guests over coffee or relax and gaze out at the fabulous views from the comfort of your seat. Later, afternoon tea is served in your compartment. All too soon it is time to prepare to disembark as the train crosses the Venetian Lagoon and pulls into Venice Santa Lucia station. 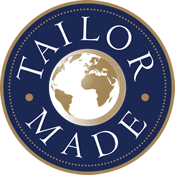 Your private water taxi will transfer you in the best possible style to your chosen hotel for the next three nights. 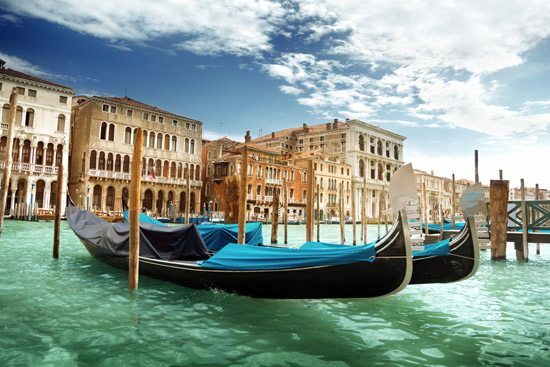 Savour your final morning in Venice before your private water taxi transfer re-unites you with the rest of the world as you leave the magical city behind and head for Venice Marco Polo airport and your flight home to London. 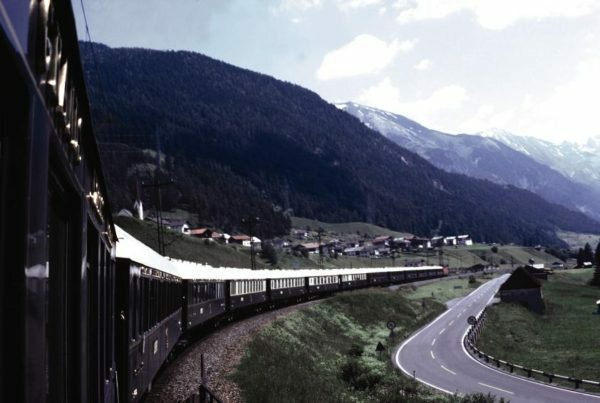 On board the Venice Simplon-Orient-Express you travel in a private compartment, attended by Cabin Stewards throughout your journey, where you are assured of attentive yet discreet service. Each compartment has its own original washbasin cabinet with hot and cold water, and at night-time becomes a comfortable bedroom, complete with soft towels and crisp linen. Your double compartment converts in moments from daytime seating to a comfortable bedroom. A private lounge during the day with a banquette sofa, footstool and small table, it is transformed to night configuration with an upper and lower bed. A washbasin with hot and cold water is enclosed in a cabinet and towels and toiletries are provided. Enjoying a great location in an area exclusively reserved for local Venetians, the Hotel Ai Mori d’Oriente (4 star) offers an attractive and calm setting from which to enjoy and explore this most evocative of cities. Named after Turkish tradesmen, “mori”, who for centuries lived in this beautiful palace, the hotel offers guests contemporary accommodation equipped with air conditioning, mini-bar, hair dryer, direct-dial telephone, satellite television, radio, safe, and internet access. The hotel benefits from a tastefully decorated breakfast room, bar and reading room. You can relax amidst the exotic atmosphere of the hotel’s furnishings which hark back to the times of oriental merchants, and traders, plying their trade on the “Silk Route” which had Venice as its main port. Located about 10 minutes’ walk from the Rialto Bridge, the Ai Mori d’Oriente offers visitors a fascinating insight into the real Venice as well as easy access to charming restaurants frequented by locals rather than tourists. Right in the heart of Cannaregio, in the Cà d’Oro quarter, one of the most important districts of Venice, the new UNA Hotel Venezia (4 star) looks straight out onto the Rio Priuli Canal. It is only 5 minutes on foot from the Rialto Bridge and 10 minutes from magnificent St. Mark’s Square. This stately building has been restored to its ancient splendour thanks to carefully thought out renovation, with the emphasis on detail and furnishing. Special features are the Murano glass chandeliers which create a romantic atmosphere. UNA Hotel Venezia has only 37 rooms which are elegantly furnished in a typically ornate Venetian style, and provide every possible comfort. You can enjoy elaborate cocktails and appetising snacks in the American bar. The Locanda Orseolo (3 star) is the result of a recent faithful restoration of a typical Venetian home, facing the Orseolo canal and only a few steps from St. Mark’s Square. One of the key features of this charming inn is the wonderful family atmosphere in the heart of enchanting Venice, with breakfast freshly prepared for each guest. All the rooms in his boutique hotel feature tasteful furniture and decor in local Venetian style with thorough attention to detail. Rooms overlook the Orseolo canal or the quiet private courtyard, and feature satellite TV, minibar, safe, hairdryer and wireless internet access. Right on the waterfront in the heart of Venice and next to San Biagio Church, Hotel Bucintoro (4 star) offers elegant rooms and suites with panoramic views over the Venice Lagoon. The Bucintoro Hotel is just across the bridge from the Vaporetto (water bus) stop, Arsenale. All of the hotel’s comfortable en-suite rooms comes with air conditioning, satellite TV, and free Wi-Fi. Each room boasts a great view that includes St Mark’s docks, Palazzo Ducale, the Campanile, and the Island of San Giorgio. Hotel Bucintoro is set in the historic district of Castello, a 10-minute walk from St. Mark’s Square. The area is still full of small neighbourhood shops, cafés and Venetian inns. Canal Grande Hotel (4-star) is a charming, highly-rated boutique hotel located in Ca’ Polacco, an elegant little palace which has just been restored. The furniture of the hotel is characterised by the elegance of Rococo style, typical of 18th century Venice. The lobby with its rose marble fireplace, the breakfast room with its golden mirrors, and the bar with its Venetian red velvet armchairs overlook the Grand Canal and are the best places to begin and end your day! The small terrace on the Grand Canal gives you the opportunity to have a drink in a very special setting and watch the Venetian world go by. Prestige double rooms with Grand Canal view are equipped with damasks, Murano glass and mirrors, and briar, gold decorated furniture. The room features retractable TV, safe, direct telephone, WiFi connection, private marble bathroom with mosaic decorations and air conditioning/heating working all year round. Ruzzini Palace Hotel (4 star) is set in Campo Santa Maria Formosa, one of Venice’s largest and oldest squares. This historic building has beautiful décor and enjoys an excellent location just 10 minutes’ walk from the Rialto Bridge. The hotel has been completely renovated and all the en-suite rooms are comfortable and spacious, featuring typical décor, flat-screen satellite TV, mini-bar, safe deposit box, air-conditioning, courtesy kit and a hairdryer. The hotel staff is friendly and professional and the hotel also benefits from its own bar and lounge. The Hotel Al Ponte Antico (4 star) is an intimate residence facing the Grand Canal, with a splendid view of the Rialto Bridge. The exceptional location of this charming palace, its tasteful design and comfortably furnished and fully-equipped rooms is sure to delight customers. The special quality of this exclusive family-run hotel of only 9 rooms is due to the warm welcome, refined atmosphere and highly personalised service and renowned hospitality of the Peruch Family and its staff. The hotel features luxurious interiors and a wonderful terrace, where you can enjoy truly unforgettable evenings.